Many agricultural producers have an opportunity to give a more tax-wise gift at this time of year. This often-overlooked gift is in your combines, semis or grain bins. Consider a gift of a commodity. If you sell your commodity and then make your charitable contribution in cash, you will likely have to report the sale of the commodity as income against any expenses you have. Most agricultural producers will owe state and federal income tax as well as self-employment tax on this income. If you don’t or can’t itemize, this gift gives you full benefit as you have no income to report. Even if you do itemize, you may be able to deduct your cash gift but you will still owe the self-employment tax. If you gift the commodity instead, you will typically owe neither the income tax nor the self-employment tax yet will still be able to claim your expenses. Gifts of livestock may have similar benefits for you. Contact your accountant or tax attorney to determine if/how this type of gift might benefit you. 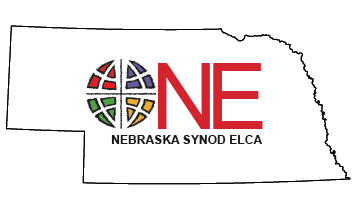 Contact the Nebraska Synod, your congregation or charitable ministry to see if they have an account at your elevator or sale barn. If so, you can proceed with the gift. If not, have them establish an account at your elevator or sale barn. When you deliver the commodity to the elevator or sale barn, make sure they deposit the portion you wish to gift into the account for the Synod, congregation or charitable ministry. Do not give the elevator or sale barn permission to sell the charitable portion. Instead, notify the Synod, congregation or charity that you made the gift (they will want to contact the elevator or sale barn to authorize the immediate sale to avoid storage fees). The elevator or sale barn should give you a receipt only for the portion of the commodity you keep. The portion gifted should be receipted to the appropriate ministry. If you or your congregation have questions about how to handle a gift of a commodity, contact Ted Asay, director of development for the Nebraska Synod, at ted@nebraskasynod.org or call Craig Stirtz at Lutheran Planned Giving Services at 888-891-5728. This notice is provided as a information only. It is not to be considered legal or tax advice. Contact your tax professional for how charitable gifts fit in your particular situation.